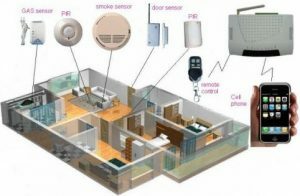 Latest inventions for house automation convenience helps home owners like you so much, it will make it easier for you and for your family to control and monitor your house using the newest devices like tablets and smart phones that plays the essential role in home automation system. Wherever you are automatic controlling of your appliances will now be very easy. To control your home automatically, smart home automation system is what you need. It can save you energy because with just one click it can be easily done even for elderly. Surveillance in your house will be 24/7 even you are on a vacation and far away from your house. You can schedule the appliances in your house when to turn it on or off. It uses controllers like phone, desktop and even laptop that make it more convenient for a home owner like you. What are the types of automation system? The cost of home automation system differs on each type. If you want to have an inexpensive then you can have Power Line home automation system. You can also have the wired home automation system where all appliances are connected to the main controller, centralized by the computer. It also has a wireless home automation the newest and expanded type of system, it uses wireless technologies like Wi-Fi, Bluetooth and more. That is why it more use today because the convenient it can give to the home owners today. 21st century home needs the automation system to control, monitor and secure your house to know more about the home automation system you may go to hdhtech.com.